When you’re starting out as a new stylist—or in any career—it’s difficult to know what you don’t know. And while you may have gone to a top-notch cosmetology school and learned from the best educators, there are still many things you must learn on the job from your peers, managers and salon owner. We asked three veteran stylists to share their best advice for new stylists and students. Each one had practical tips they’ve learned over the years. Read on for their secrets to success. You’ve just graduated from cosmetology school and everything you learned is fresh in your head. You see clients daily and feel your skills just keep getting better. What more could you possibly need? 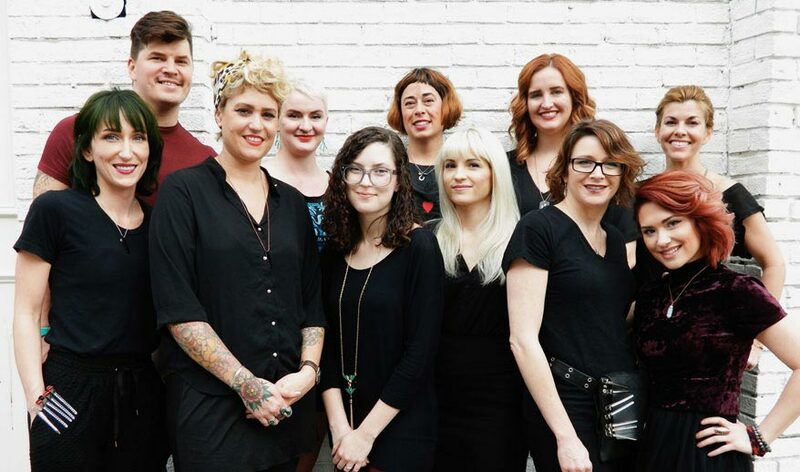 Crystal Wakitsch, senior stylist at William Edge Salon in Nashville says honing your skills is something to do continuously, no matter what your level or how many clients you see. She also encourages new stylists to make hairdressing a career, not a job. “Live your craft, work hard at it, and love it,” she says. Courtney Bradberry, stylist at the New Orleans location of Paris Parker salons has advice that’s sometimes easier said than done. And she’s not just talking about sweeping up hair and folding towels. Bradberry recommends studying all aspects of the salon and offering to help in a variety of ways. Jessica Donmoyer, stylist at Aura Salon and Spa in Jacksonville, Florida, has a lot of wisdom she would share with her younger self if she could go back to the day she graduated beauty school. But since she can’t do that, she shares her knowledge with new stylists instead. She also recommends finding a salon with new talent or assistant programs when looking for your first job. And if you’re comfortable talking to clients, you’ll be comfortable asking them to prebook, which Donmoyer advises new stylists start doing early on. “It’s the key to building your book,” she says. “And not just prebooking, but creating a demand for yourself too. The best way to have a full book and be 100-percent productive is to book your appointments appropriately,” she adds. “One of the most important things I learned about prebooking was that you are in charge of telling your clients when to come back, so if you prebook them, they have more respect for you as a stylist. And if you know that you have a full week of appointments, you can best prepare yourself for your week—and it gives you a better idea of what your paycheck will look like,” she says. Michelle Yates Ferrell, stylist at Lyndon’s Salon and Spa in Clarksville, Tennessee, has simple advice for new stylists: Ask questions and listen. “This applies to clients and to successful peers,” she says. Ferrell says most stylists—including herself—have been guilty of not listening or asking the correct questions, but says she is much more inquisitive now that she has more experience under her belt. “Let’s say a client comes in and ask for medium brown hair and I just think oh, ok—and then find out that medium brown hair to her is jet black,” says Ferrell. “Ask the right questions or you will goof up,” she adds. Ferrell believes her clients feel much more confident in the end result after she conducts a thorough consultation. “Even if a client comes in and says, ‘do whatever,’ I still ask for more details—short, long, fringe, layers, etc—I NEED to know what the one thing is that they hate about a cut or color—the little things matter,” says Ferrell.